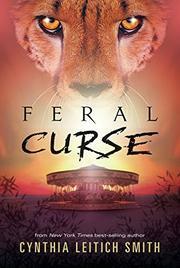 Campy humor is paired with themes of social justice in this fast-paced, clever second volume in the Feral series. As this installment opens, a teen Texan werecat named Kayla is poised to lose her virginity to her loving boyfriend, Ben—daring to expose herself to him as a shifter despite her fear that he’ll reject her. Sadly, he does turn out to view her as so many others in this imagined society view werepersons: as someone whose difference requires saving instead of celebrating. In a misguided effort to cure her, he sets into motion a strange sort of curse that results in his death. It also involves enchanted animal figures from a carousel and a variety of shifters who are suddenly, inexplicably drawn to Kayla in different ways, including Yoshi, the werecat protagonist of Feral Nights (2013). The details here are sometimes too complicated, leading to mouthfuls such as, “Either the reversal won’t work…or the spell will draw the magically contaminated shifters to the carousel.” However, the dynamics among characters are fascinating and are well-served by the first-person narration alternating between Yoshi and Kayla.